The images are not the best–I snapped them on my cell phone–but here are two extraordinary moments in the history of the Roosevelt birthplace. The photos are from the Roosevelt House Bulletin, the newsletter of the Women’s Roosevelt Memorial Association. The man seated on the left in the first photograph is Major General Charles P. Sumerall. 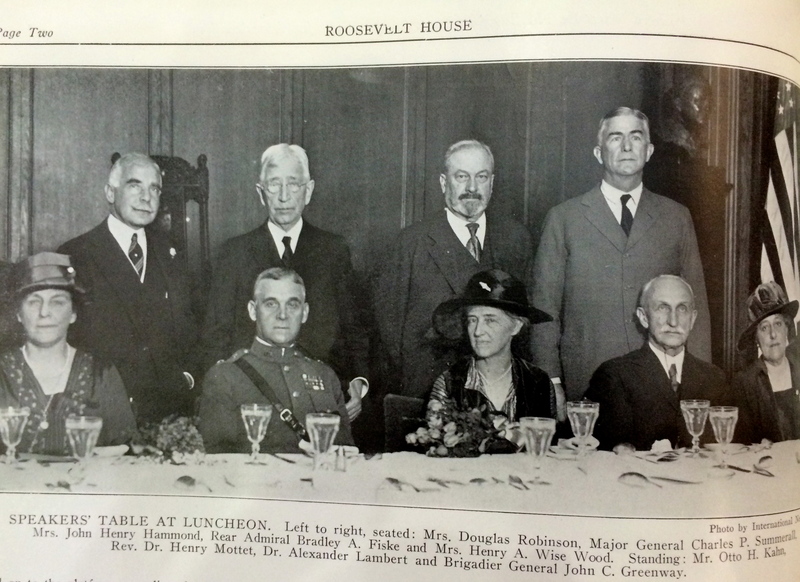 To his right is Corinne Roosevelt Robinson, Theodore’s younger sister. The photo was taken in Fall 1925, just two years after the Birthplace opened as a historic site. Sumerall at this time commanded the Department of the East on Governors Island. He knew the Roosevelts well. For a time during the Great War Sumerall commanded the First Infantry Division. Ted Roosevelt was an officer in the division’s 26th Regiment. Sumerall was later promoted and commanded the V Corps. In the 1920s and 1930s Ted Roosevelt often visited Governors Island to attend social functions at the Officers Club. The second image here was taken on 7 March 1925, a few months before the one above. 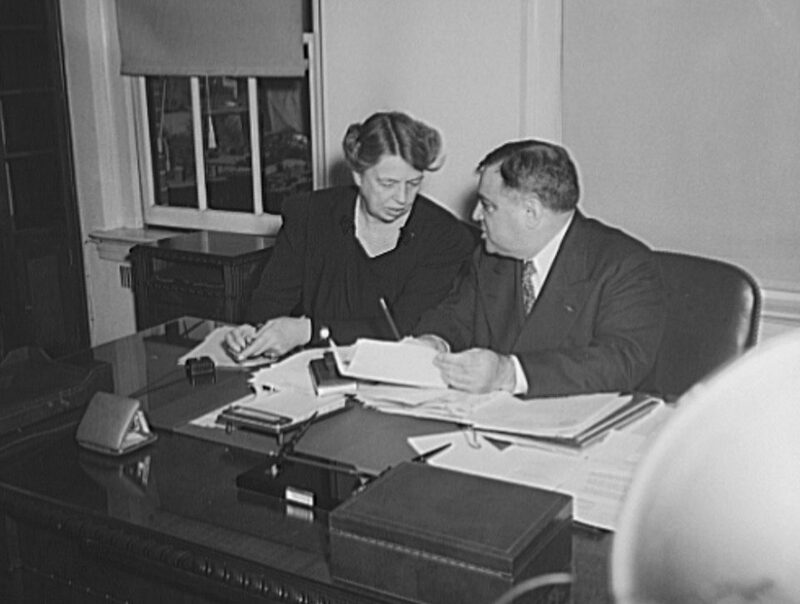 Sumerall was a frequent visitor to Roosevelt House. 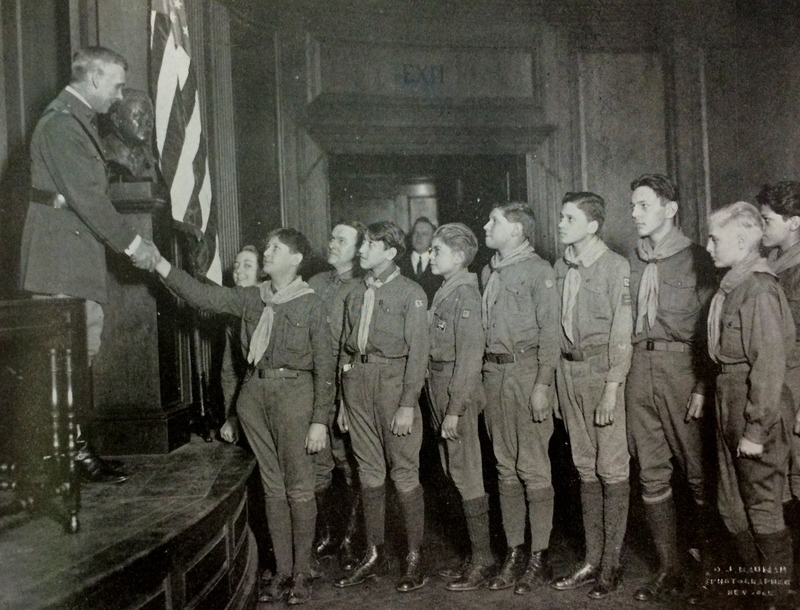 Here Sumerall is inspecting Boy Scout Troop 636. Note the bust of Roosevelt on the stage next to General Sumerall. The house was not only a memorial to Theodore Roosevelt. Quite consciously the people who founded and operated the site wanted it to support patriotic and civic causes. Thus in the early days especially there were all sorts of events such this. Boy Scout troops, GAR functions with aging Civil War veterans, lectures on currents events, and other things were all common. Commanders of the Eastern Department were in a unique situation because they lived and worked on Governors Island and yet were so close to New York City. Going back well into the early nineteenth century to the time of Winfield Scott himself, the commander performed public duties such as these. Love the picture of Corinne! Have you come across any reminiscences of their childhood in the Bulletins? I usually read the Bulletins at the public library. The next time I am there I will see what I find and pass along. I love the history of the early years of the house. Now we have a reason to come back to the NYPL as well as the Birthplace. Glad to know the bulletins are available there.